Pocket-Size: 4 x 6 in. 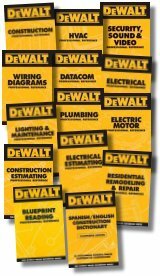 The DEWALT Lighting and Maintenance Professional Reference is a two-part informational guide. Part one covers the design, selection and installation requirements of lighting systems for residential, commercial and industrial applications. 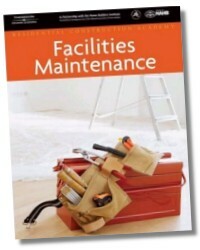 Part two contains valuable information regarding electrical and general maintenance including critical electrical safety issues. 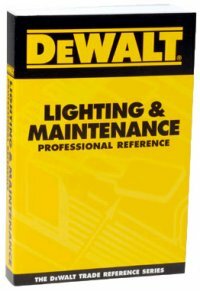 The DEWALT Lighting and Maintenance Professional Reference has quickly become a necessary tool for commercial and industrial maintenance personnel. Paul Rosenberg is contributing editor for Power Outlet Magazine, past president of the Fiber Optic Association and teaches electrical engineering courses for Iowa State University. 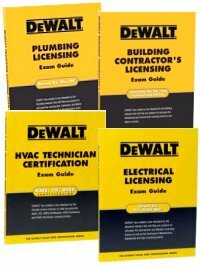 He has written more than thirty textbooks and manuals in addition to the DeWALT series of pocket reference books. He has an extensive background in the electrical contracting industry serving as a supervisor, estimator, project manager, designer, and an independent contractor with numerous licenses and professional certifications. Paul wrote the first ever installation standard for optical fiber (ANSINEIS- 301), as well as a Raceway Installation standard and was awarded a patent for a power transmission module. From 1991 through 1998, Mr. Rosenberg served as special features editor of Electrical Contractor Magazine and has also served as contributing editor to Electrical Distributor Magazine and the Electronic and Low Voltage Newsletter. He has designed and conducted training programs for NECA and Fiber U while continuing to lecture at industry events throughout the United States. 384 Pages - 4 x 6 in.